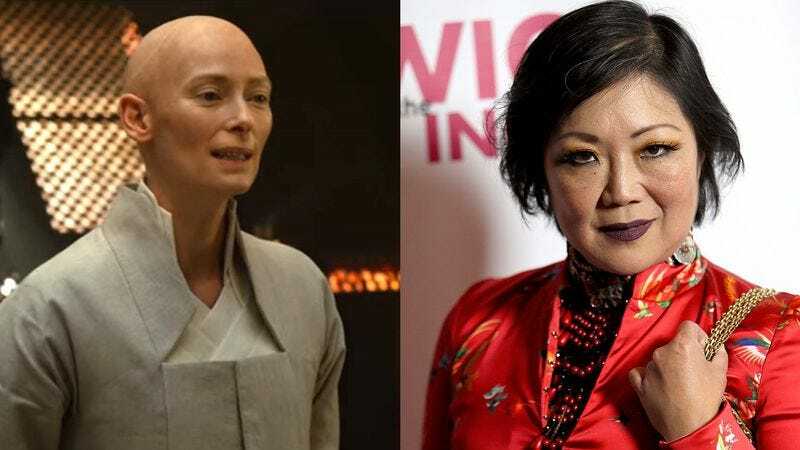 Earlier this year, actress Tilda Swinton and the producers of Marvel’s Doctor Strange faced criticisms of whitewashing over the decision to give the role of the Ancient One—a character portrayed as a Tibetan man in the original comics—to Swinton, a white Scottish woman. At the time, Swinton commented by saying, “Well, it’s not actually an Asian character—that’s what I need to tell you about it. I wasn’t asked to play an Asian character, you can be very well assured of that.” Marvel later clarified that the character had been changed to have Celtic origins, a switch that did little to quiet critics angry at the idea that a role had been taken away from an Asian performer. A—personal—irony to my being even remotely involved in this controversy is what I stand up for and always have. Whether it is challenging the idea of what women look like, or how any of us live our lives, or how we educate our children, diversity is pretty much my comfort zone. The idea of being caught on the wrong side of this debate is a bit of a nightmare to me. I believe very much that you as an artist are about diversity and your body of work shows that—but this particular case of the Ancient One is just another in a long list of ‘whitewashed’ Asian characters and so you’re likely to feel the heat of history. I am not sure what to say other than I am glad you want to meet the issue head on—it’s a tough one I know. But the odd part is that we only have these emails—in which two well-meaning people seem to be doing their best to understand each other, despite coming from clearly opposite directions about the appropriateness of Swinton taking the part—because Cho, who’s been a vocal critic of whitewashing, later spoke out negatively about the conversation. The stand-up was recently on Bobby Lee’s TigerBelly podcast, where she revealed some of the details of her and Swinton’s talk. “Tilda eventually emailed me and she said that she didn’t understand why people were so mad about Doctor Strange and she wanted to talk about it, and wanted to get my take on why all the Asian people were mad,” Cho said. She then spoke to her resentment at being asked to speak for all Asians, joking, “I don’t have a yellow phone under a cake dome!” and expressing the idea that she felt like she was being treated like a “house Asian, like I was following her with an umbrella.” She also noted the weirdness of Swinton’s insistent request that their exchange be kept private. Well, it’s definitely not private anymore, because Swinton’s representation responded to Cho’s statements by releasing what they’re saying is the entirety of the two women’s communications. Vulture has the full text of the exchanges—including the women’s apparently differing perspectives on Swinton’s note that she’s producing Bong Joon-ho’s Okja, starring Steven Yeun. So far, Cho hasn’t responded to inquiries about Swinton’s release of the letters.